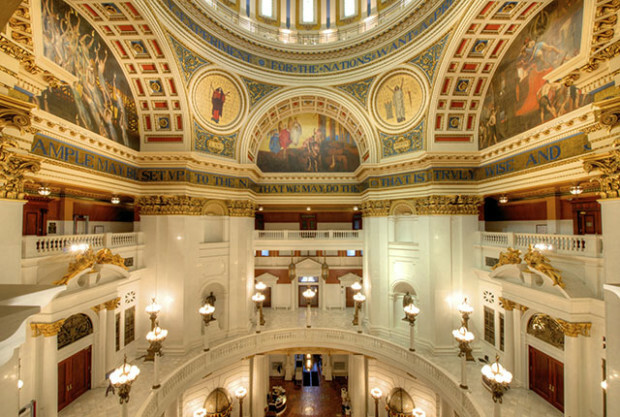 1906, Philadelphia, USA and a historic moment in art was unfolding in the Pennsylvania Capitol Building. 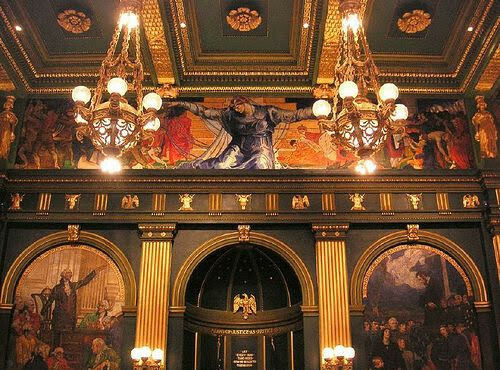 A series of murals depicting ‘The Founding of the State of Liberty Spiritual’ were being installed in the Governor’s Reception Room and unveiled to a large crowd. 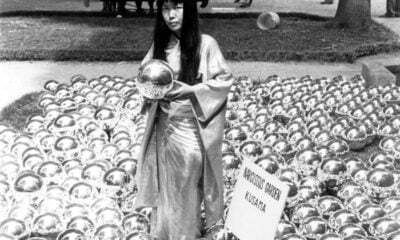 The reason for the historical nature of this installation? 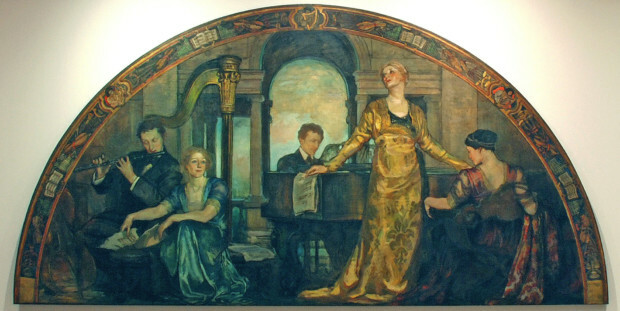 It was the first to be commissioned from a female artist: Violet Oakley. 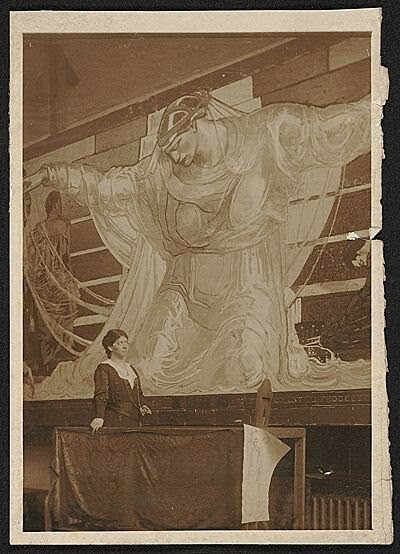 The success of this series resulted in Violet Oakley being commissioned to complete friezes in other areas of the Capitol: the Senate and Supreme Court Chambers. For over 25 years, Oakley worked on a total of 43 murals. Violet Oakley; Bain News Service, Publisher/Retrieved from the Library of Congress. How had this commission come about? 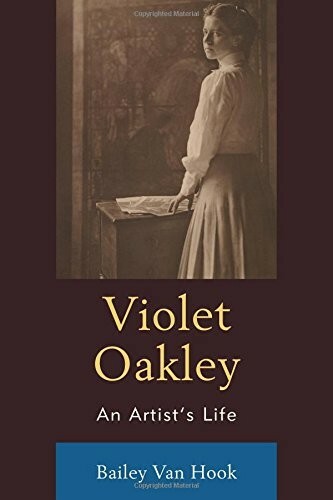 Violet Oakley was born into an artistic family in New Jersey, in 1874. 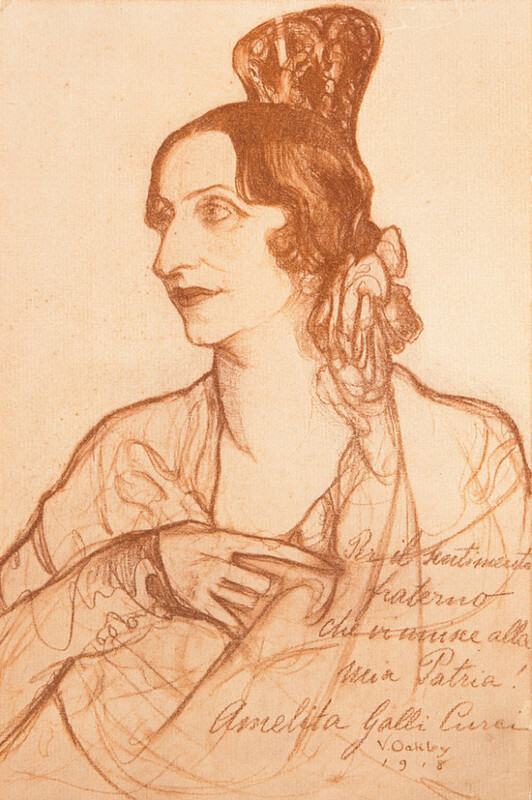 Naturally, Violet began studying in New York in 1892 before moving to England and France the following year to continue her studies. 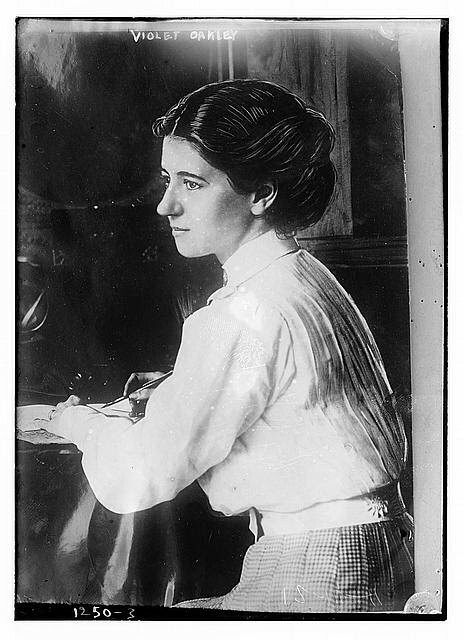 When she returned to the United States in 1896, Violet Oakley carried on her studies for a short time before she became an illustrator for a number of magazines. 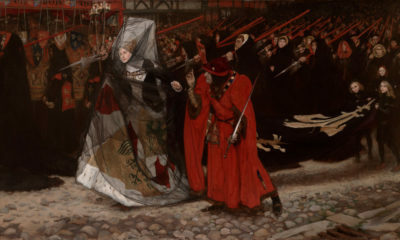 The style of her work showed her interest in Victorian art, especially the Pre-Raphaelites in England. 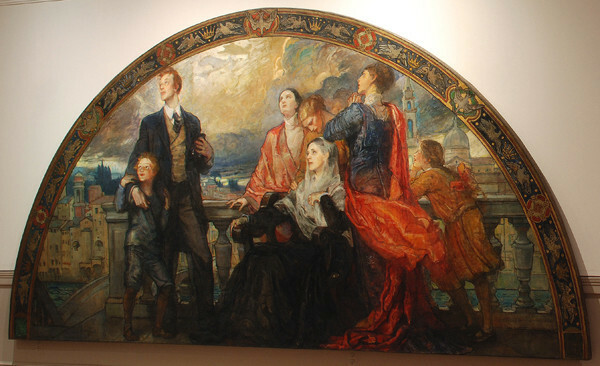 Penn’s Vision by Violet Oakley (oil paint over printed base) Pennsylvania State Capitol. 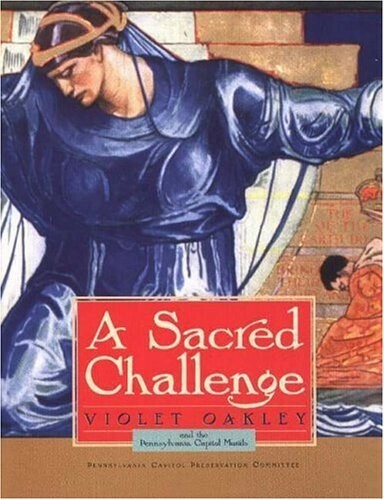 It was the ‘renaissance’ influence that gave Violet Oakley the edge in the commission that started the work for which she is so well-known. The first series depicted the story of the founding of Pennsylvania by William Penn. The success of the first series led to Oakley completing another frieze with the title “International Unity and Understanding”. Inaugurated in 1917, America joined the war shortly afterward, delivering a sense of irony to the vision she expressed of a unified and peaceful world. 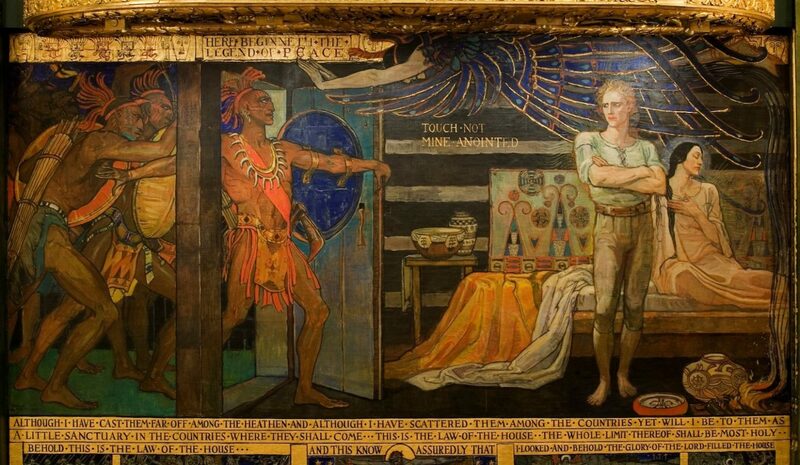 Violet Oakley’s murals in the State Capitol, Harrisburg. 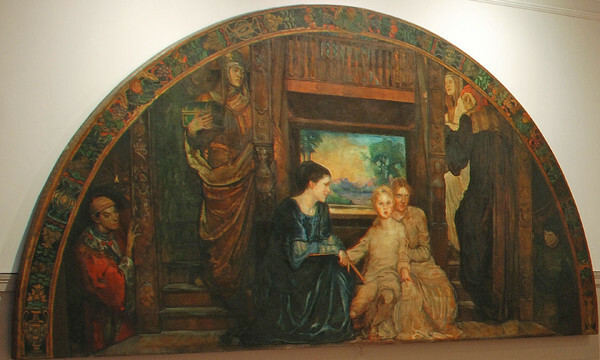 The child is surrounded by the greats of philosophy and literature: Confucius (lower left); Solomon (left); Cicero (lower right); and Dante, preceded by his courtly, idealized love, Beatrice (right). Oakley’s use of symbolism with the staircase on the left shows the route upwards to the next stage. 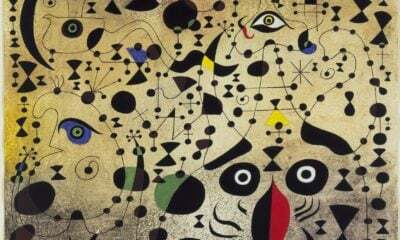 The young man in the centre is the child in the first lunette and here he is surrounded by talented musicians. Oakley’s detail in the three dresses is stunning and in the outer half circle, she has placed the objects that contribute to the scene. The third and final part, Man and Science, Oakley depicts the young man as a father himself. 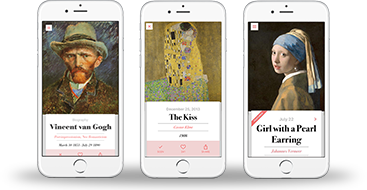 The family looks out onto Florence; home of the Renaissance and the attitudes of the characters indicates their love and respect for the land that they see as the home of art, culture and science. 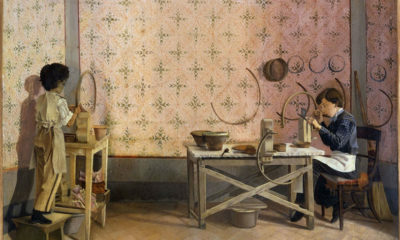 The murals are only part of Violet Oakley’s oeuvre. 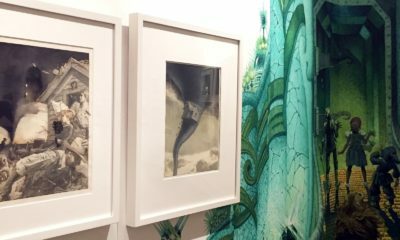 Currently, an exhibition is being held at Woodmere Art Museum in Philadelphia entitled A Grand Vision: Violet Oakley and The American Renaissance which explores not only her work as a muralist, but as a stained glass designer, illustrator and portraitist. 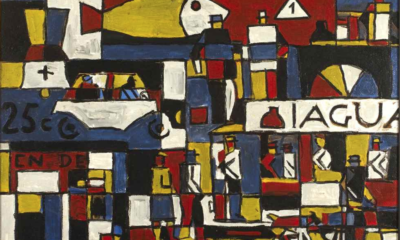 It’s the last chance to see this exhibition!  It is going to be closed on 21st of January. 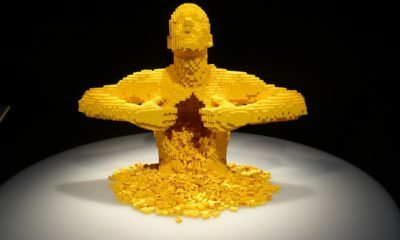 Teacher by trade; art lover by choice. Like all manner of artists and movements but somehow always end up back in 1910!